Family owned and operated bedding retailer, Chiropedic has been manufacturing Australian made mattresses since 1991. During Chiropedic’s 27 years in operation, they have won numerous awards for excellence in innovation and design. 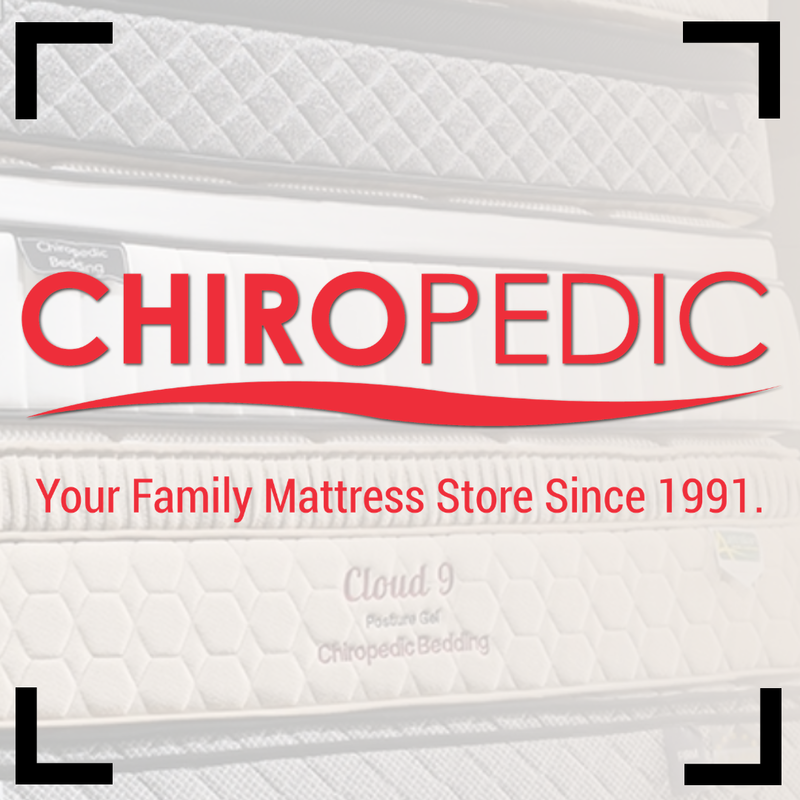 Chiropedic produces mattresses of the highest quality, sold directly to the public. Chiropedic’s mattresses can be purchased directly from their stores located throughout Melbourne and regional Victoria. Chiropedic also stock a fantastic range of bed bases, pillows, and bedroom furniture. Selling directly to customers, means fewer overheads and big savings. Find your nearest store here ! Click on "GO TO STORE" and enter BEDBUYER10 at checkout to receive 10% off any Chiropedic mattress. The Cloud 9 Classic Comfort was recently awarded Bedbuyer’s Best Australian made Mattress for 2019. It is one of the best plush (soft) feel mattresses we have tested. The Cloud Gel Firm has a nice comfortable top layer that also provides good spinal support. Partner disturbance is almost non-existent. The Cloud 9 Premier Luxe is an exceptionally well made mattress. It is beautifully comfortable and feels expensive and luxurious. It also offers very good spinal support. The Cloud Gel Medium has a nice spongy top layer that offers very good spinal support. A little more dense on the top layer than the Cloud 9 options. The Cloud 9 Visco Flex, like the other Cloud 9 mattresses available at Chiropedic, has a beautifully comfortable top layer which feels light and luxurious. The Support Plus Super Firm feels very firm and hard, as you would expect from the name. Would only suit those who like an almost unusually firm feel to their mattress. The Eclipse Visco Medium is nice and comfortable. It has a top layer with puffy pockets which offer nice pressure relief and good spinal support. The Cloud 9 Premier Firm has a very nice, light top layer that offers excellent support. It is an outstanding firm mattress as it still has some pressure relief and is not ‘hard’.